Registered nurse certification in New Hampshire imparts varied number of skills to nurses, so that, they could handle the patients in a more effective manner. The certification is issued by the New Hampshire Board of Nursing, which aims to safeguard health, life, and well-being of the citizens of the state, and to defend the people from the unqualified, unauthorized, and inappropriate nursing services. Complete the criminal background screening. This report must be sent directly to the Board by the NH State Police. If you are applying for a temporary license, you must complete the “Application for Temporary License” section of the application form and send it with the appropriate fee to the NH Board of Nursing. Request the Registrar of your nursing school to send an official transcript directly to the Board office. Applicants who have completed their graduation from foreign registered nurse education programs are required to submit official proof verifying successful completion of the CGFNS (Commission of Foreign Nursing Schools) examination or CGFNS complete course-by-course evaluation of credentials. Some requirements (i to iv) are same as the requirements for getting RN license by examination. If you have ever held an RN license in the state, then you must request for a reinstatement application. Complete 30 contact hours of conference, workshop, educational offering or lecture that improve nursing judgment, knowledge or skills within 2 years before submitting this application. Provide verification of your original nursing licensure. You are supposed to utilize your abilities, knowledge and judgment in nursing for at least 400 hours during the 4 years time period immediately before the date of the licensure application. If you do not meet this requirement, you must request a re-entry packet. Submit evidence verifying completion of 200 hours of nursing practice during the past 2 years in the United States. www.pearsonvue.com/nclexClick on the above link and register yourself. Pay the registration fee via American Express, Visa, or MasterCard. Step 3: Upon receiving the completed licensure application and the requisite supporting documents, Pearson VUE will send you ATT (Authorization to Test). Step 4: Once you receive your ATT, go through the letter and follow the directions carefully in order to schedule your licensure exam. Step 5: The result of the exam is usually processed within 24-48 hours and will then be received by you from the Board. Step 6: After final approval, an RN license will be issued by the Board which permits you to start nursing practice in the state of New Hampshire. http://www.nh.gov/nursing/forms/documents/license-endorsement-rn-lpn.pdfMail the completed application to the Board office address mentioned above (Step 1 of procedure to obtain RN license by endorsement). Upon approval of the required documents, the license will be issued by the Board. Continuing Education (CE)Thirty (30) contact hours including conferences, workshops, lectures or any other education contributions intended to enhance skills, judgment, and nursing knowledge in past 2 years, preceding license application. Active in Practice400 practice hours completed in four years immediately before the application date, or have completed a refresher program approved by the Board during two years of application, or have successfully passed the NCLEX-RN examination within two years of application. Click the below link to get your license renewed online. All registered nurses who hold an inactive licensure status for a minimum of 400 hours, in the 4 years immediately prior to application date are required to complete a re-entry program approved by the Board before acquiring permanent license. The following approved options are available to nurses, which have been designed in order to allow for synthesis, analysis, and assessment of the updated information of the health care environment. Refresher Course and Clinical PracticumThis option necessitates successful completion of a refresher course that must be of at least 120 hours, including 80 clinical hours and 40 classroom or theory hours. The theoretical section includes content from the nursing process, sciences, organization and leadership, health promotion, legal and ethical issues, and nursing interventions. The clinical practice sessions must be administered by a professional registered nurse.Note: Before beginning these classes, you must possess a temporary New Hampshire RN license. 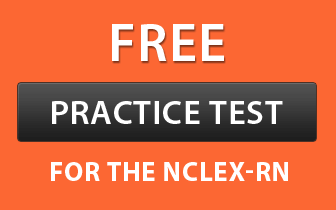 Completion of NCLEX-RN This option necessitates the successful completion of the licensure exam, NCLEX. To take the exam, you are required to apply to the Board for approval and then register with the Pearson VUE. Distance Education: Online RN Refresher CourseThis option requires successful completion of an online refresher course that should be of at least 120 hours, including 40 classroom/theory hours and 80 clinical hours. The theory of the online course is similar to that of traditional refresher course.